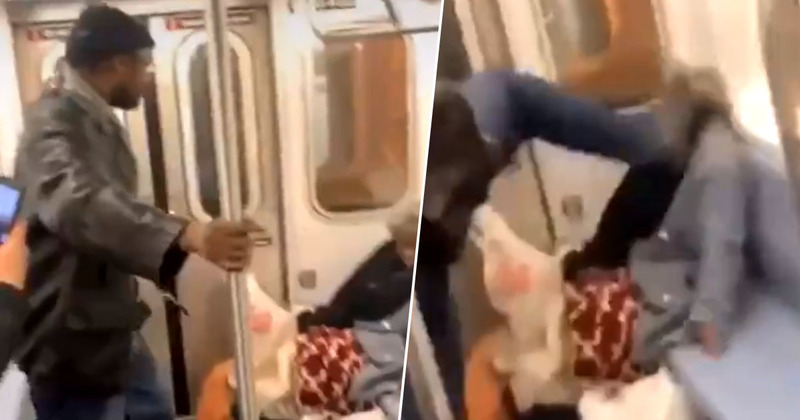 A man has been arrested on suspicion of kicking an elderly women in the head on a New York subway train, after being allegedly recognised in a viral video capturing the crime. The viral clip was widely shared on Twitter. It showed an assault on the 78-year-old victim as she sat alone on a train at around 3am on March 10, police said. Authorities have since arrested restaurant worker Marc Gomez, who’s set to be charged with felony assault after the Bronx incident. 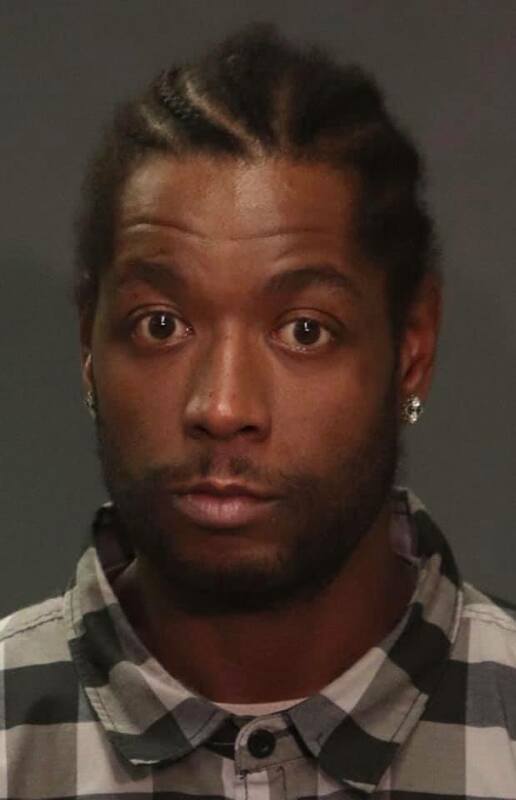 But the suspect, of Yonkers, denies he kicked the woman while simultaneously claiming the retired teacher came at him with a knife. She was homeless and lying across the seat and wanted all other passengers to move. She said, at that point, ‘I have a knife and I’m going to stab you’. The lawyer, Steven Mechanic, also claimed she flashed ‘a sharp implement’. The footage of the alleged assault went viral with observers commenting on both the brutality of the attack and the way those present filmed on smartphones rather than stepping in to help diffuse the situation. The victim was left needing hospital treatment and ‘is getting care, advocacy and support’, New York Chief of Detectives Dermot Shea tweeted in a post announcing the arrest of Gomez. The assault was filmed by onlookers, who stood by as the assailant delivered at least three kicks to the woman’s body; two to her head and one to her chest. The defendant was recorded on video kicking a 78-year-old woman on a subway in The Bronx. The defendant viciously kicked her six times, while wearing boots, about the head and face. He could be heard telling the camera holders to ‘Worldstar that’, a reference to the online viral video purveyor famous for brawls. Meanwhile, the victim’s former Bronx neighbors told The New York Post she is a childless, retired kindergarten teacher. She was just mentally ill. She wasn’t paying rent. She threatened at least three co-opers with a knife… She used to call the fire department, cops all the time. Gomez, 36, was charged with felony assault and held in lieu of $30,000 bail after prosecutors said he has a misdemeanor conviction and an open gun possession charge. Gomez had been free without bail since November, when he was stopped on the Cross Bronx Expressway by cops who found a 12-gauge Mossberg shotgun plus ammo in his car, according to law-enforcement sources. Gomez also has old, sealed arrests for assault and possession of a gun and marijuana, sources said.